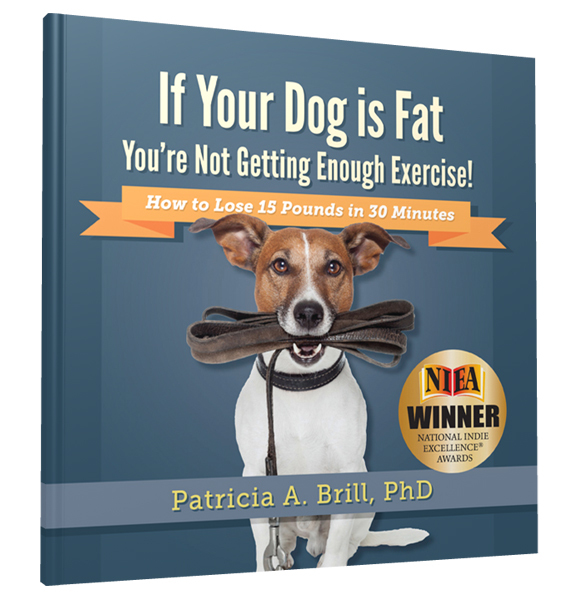 2014 National INDIE Excellence Award Fitness Winner / 2014 Living Now Book Awards Bronze Medal Winner – EXERCISE / FITNESS / YOGA – If Your Dog is Fat You’re Not Getting Enough Exercise! Walking your dog can be a purposeful, physical activity that can have health benefits for humans as well as canines. Dog walking can renew your interest in being active and contribute to a more physically active lifestyle for both you and your dog. Dogs can be a tool to help you obtain your optimal weight, help you have a positive outlook on life, decrease stress, and increase levels of happiness. So, take your dog for a walk. You’ll see that after awhile, your dog will make walking a part of your daily routine. Just think, you can always teach them to fetch your walking shoes. The intent of this book is twofold: 1) To provide a way for owners and their dogs to adopt a more physically active lifestyle and obtain a healthy weight; and 2) To help find loving families for dogs in need by encouraging people to adopt those dogs. If you are ready to make a commitment to you and your dog to get healthier and fit, lose weight, or reduce stress, then this book is for you! Patricia A. Brill, PhD is an expert in developing functional fitness exercise programs for specific daily activities. She is the author of Exercise Your Independence—Functional Fitness Exercises to Keep You Active!